If you have decided to put yourself in front of the camera and now need a good video editor simply to upload them to the well-known giant video platforms like the tech giant Google’s YouTube or Vimeo, then today you are at the right place. As today in this article, we will present an awesome list in which we will show you all 15 best video editing software for youtube and Vimeo like platforms. 1.1 What is a video editor and what is it for? If you have decided to put yourself in front of the camera and now need a good video editor simply to upload them to the well-known giant video platforms like the tech giant Google’s YouTube or Vimeo, then today you are at the right place. As in this article we will not only show you from where to download and buy the best free and paid video editors, but also we will show you the tools to record your computer screen, tools to create funny animations with a photo editor with music, and platforms to compress & convert videos to other formats. Creating and editing online videos nowadays is becoming a content strategy and vital promotion procedure simply to gain visibility and promote your personal brand. And to do so you need a good video editor, so, now you don’t have to search the internet for the best ones, as today in this article we will present an awesome list in which we will show you all 15 best video editing software for youtube and Vimeo like platforms. However, if you stay up to date then let me clarify that you will quickly see that how YouTube video editors are indispensable tools today. But, there are other much more good options are also available. What is a video editor and what is it for? Video editing is an audiovisual creative process of photographs, graphics, audio and digital effects in a computer file. Getting recordings and editions of photos with professional music are essential, and you can do so simply by choosing a good video editor for your Pc or Mac. Do not afraid of the complicated functions and content quality, as at least for once we all have gone through this tough and complicated phase. Hence, the more you will work hard and practice the more your quality will get improved. But, when you create a YouTube channel you have to take care of the aspect of the video, at first, your creations will be more basic but as you go on perfecting it, you will get better results as we told earlier. Moreover, in this article, you can simply choose the best professional video editors and then simply you can perform the following tasks so that you can achieve perfect results. Allow you to create tutorials by recording your computer screen. Allow you to record videos with Webcam. Edit your recorded videos with a multitude of visual options. Create animated videos or infographics simply to enhance a personal message. Compress heavy videos to speed up loading if you want to use them in the design of your website. Convert your videos to other formats. So, what are you waiting for? Now without wasting much time let’s get started and simply explore the awesome list that we have presented here in this article. The well-known OpenShot Video Editor is the most basic tool, as this video editor is ideal for beginners, with it you can create your audiovisual presentations in a simple and easy way. As if you have this tool installed on your PC or Mac then let me clarify that you do not need anything else, and not only that even you will have a great free and fast video editor for Windows and Mac PC. This awesome video editing tool comes installed by default in a Mac, if it is not the case, you can download it in the App store which is available totally for free. 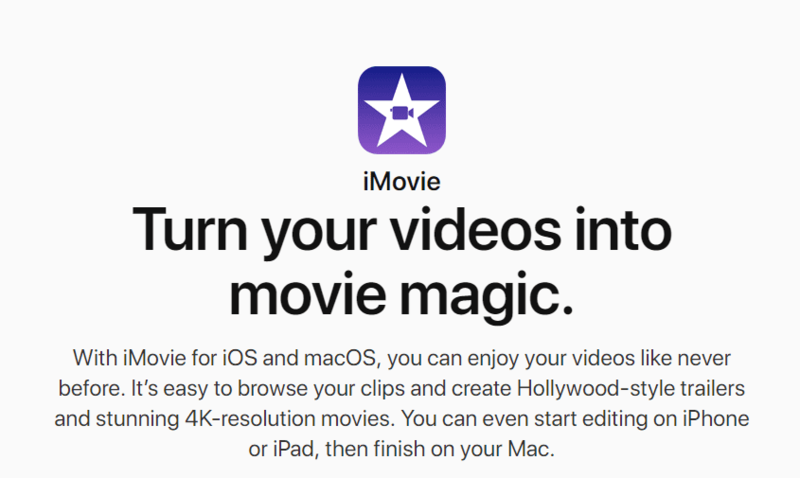 And not only that even with this awesome video editing tool you can also use the iPhone or iPad for projects and combine them with the Mac and edit or record from several devices with a 4K resolution. This awesome tool simply allows you to quickly record videos in one click, record the screen and save or share on social networks in a moment. It is a very good tool, fast and simple to manage in one click and the most interesting thing about this awesome tool is that it is available for free. The well-known tool, of course, I am talking about none other than Apowersoft is a very complete tool since with this awesome tool you can simply record your computer screen without any limit. 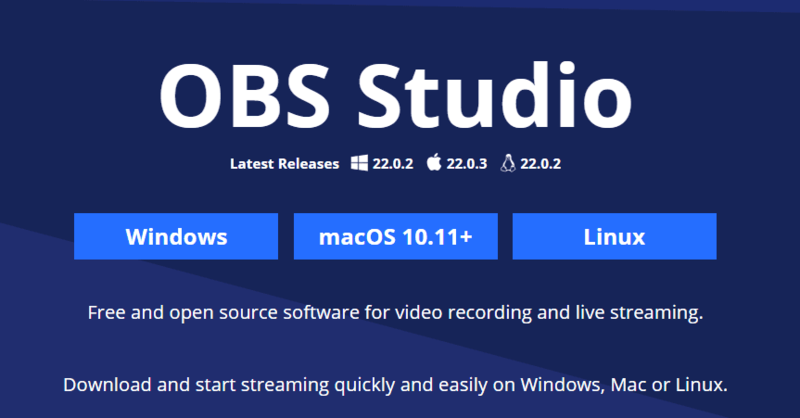 The well-known OBS Studio is a free tool with which you can simply record the screen of your computer with a very complete set of extraordinary tools and features. The well-known VideoPad Video Editor is another great video editor to record professional videos and edit them in a simple and easy way. As with its drag and drop system you can edit all your videos in high resolution and in a fluid way. The well-known video editor software, of course, I am talking about none other than the AVS Video Editor is a complete platform for editing and layout of professional videos compatible with all formats and device. As it is a well-known platform with video, audio editing tools that simply allows you to access different photo conversion options, and all these interesting features makes the well-known AVS Video Editor a very complete program. With this awesome tool you can simply create home movies in a visual and fun way, the results are great in this platform which is available on both the well-known platforms, of course, I am talking about none other than Mac and Windows. Moreover, it is a very simple editor to handle and compatible with the vast majority of formats. The well-known video editor, of course, the Magix Video Deluxe simply offers a very professional result based on a user-friendly operating system. Moreover, it also offers a multitude of effects for your videos and that also without any ads that may annoy us. The well-known video editor of the well-known company, of course, I am talking about none other than Adobe Premiere Pro which is one of the best-known software to create unique and unmatched projects as we told earlier. Moreover, the well-known Adobe Premiere Pro offers fast UI that simply allows us to add great audiovisual designs. Thought it is not the simplest tool but let me clarify about this tool is that the results of this tool are spectacular. Adobe After Effects is a well-known tool to create animated graphics in 3D, visual animations and special effects to your videos. It is a bit complex when it comes to managing it, but it is perfect if you want the highest quality in your visual tool to create videos, get impressive results or give life to your logos. The Sony Vegas Pro is a Well-known program to edit videos in high definition in a very professional way. As the well-known Sony Vegas Pro is one of the best professional editors in the world of video editing, hence, it is a great and fast tool. Camtasia is one of the most popular screen recording tools that are available in the market. As its multiple options of recording and editing make it one of the most used tools today, but also the most expensive one. Moreover, its infinite customizable options make it a perfect video editor to record tutorials and upload them to platforms such as YouTube or Vimeo. This well-known video editor is one of the most economic and one of the most complete and simple to use tool. As with this awesome video editing tool you can record the screen of your computer for free up to 15 minutes including watermark. And not only that even with this awesome video editing tool you can even create very good video tutorials. While in the pro version of this tool does not include any watermark and features a thousand editing options. It is also one of the best professional video editors which are only available for the tech giant Apple’s Mac PC users. Moreover, this awesome and powerful video editor app comes with great functionalities like tools that offer a multitude of editing options. Video Grabber is one of the best video editing tools which you can use to create YouTube videos. The best thing about Video Grabber is that it’s a web-based tool which offers lots of features. Guess what? through Video Grabber you can also record your Windows screen as well. The editing features of Video Grabber includes removing unwanted parts, cropping, rotating, color balancing tools, etc. Well, if you are looking for a windows tool that provides users with lots of video effects, then VSDC Video Editor might be the perfect pick for you. The great thing about VSDC Video Editor is that it offers lots of transitions, effects, filters which can give your videos a new touch. Apart from that, the app can also record your screen. So, VSDC Video Editor is another best YouTube video editor that you can consider. HitFilm Express is one of the powerful video editings that every YouTube content creators would love to have. 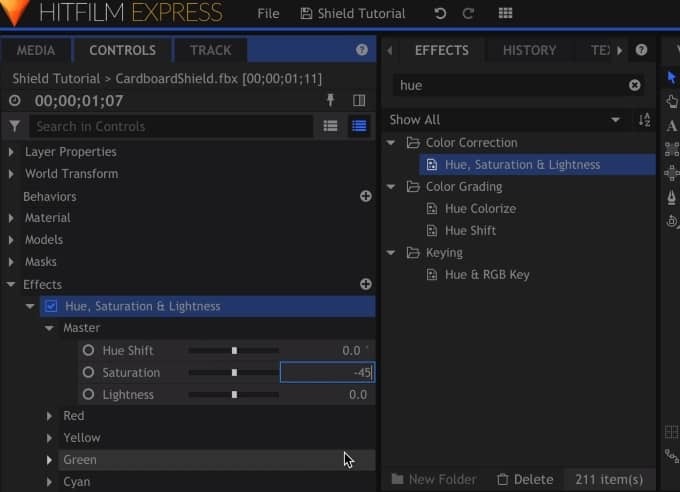 The best thing about HitFilm Express is that it offers users lots of amazing video editing features like a trimmer, filters, transition effects, etc. However, the interface of HitFilm Express might confuse lots of new users. 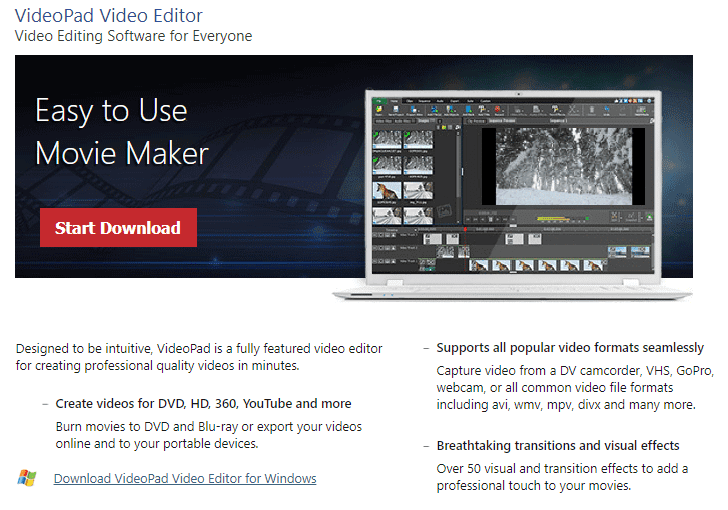 Still, its one of the best video editing tool which you can use to create YouTube videos. These are our best recommendations for you, hence, as a suggestion, we recommend you to use and try some of these video editors simply to find one that meets your expectations. So, what do you think about this list? Simply share all your views and thoughts in the comment section below.